Today August 3rd, 2016, skateboarding history was made when the International Olympic Committee officially voted to include skateboarding in the 2020 Summer Olympics. The proposal was accepted by unanimous vote around 12:30pm Pacific Time. Over the past few years skateboarding’s inclusion in the Olympic Games has become our most polarizing debate, with every culture and sub-culture of skateboarding voicing their opinion. Today every skateboarder has to face the reality skateboarders can now become Olympic Gold Medalists. What began with the Youth Olympic Games in Nanjing, China, in the summer of 2014, and continued to Istanbul, Turkey, for the first Global Skateboarding Summit in May 2015, has now crescendoed to a pivotal junction in skateboarding history. Today, August 3rd, 2016, skateboarding has officially become a sport in the Olympic Games. With the announcement by the International Olympic Committee (IOC), officially publicizing skateboarding’s Olympic inclusion during the 129th IOC Session in Rio de Janeiro, the skate world awaits both waves of protest and celebration. We have already seen several key professional skateboarders voice their approval for skateboarding’s inclusion in the Olympics from the International Federation of Skateboarding (ISF), who at this point will most likely oversee skateboarding in the Olympics. “I’d hope to be there.” – Chris Cole talking to ISF about the Tokyo 2020 Games. It was announced today at the IOC session skateboarding will have both a Men’s and Women’s street and park events with up to 80 athletes competing in the new Olympic Game. All the skateboarders will receive the same treatment as any of the Olympic Athletes, with housing in the Olympic Village. 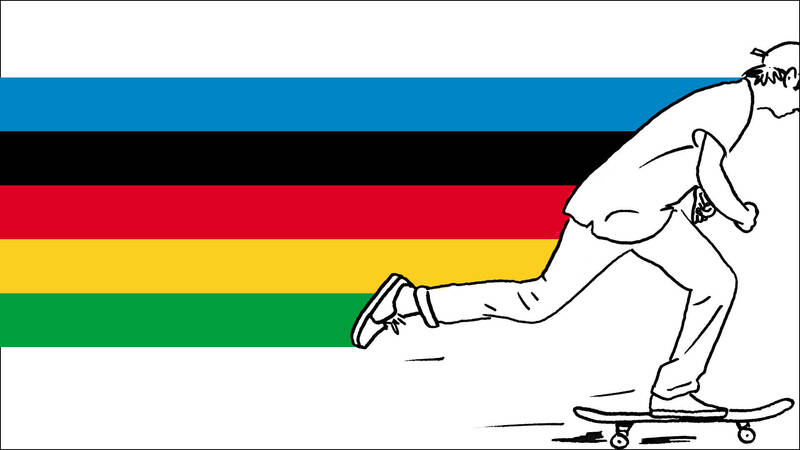 The agreement of the IOC places skateboarding under the Tokyo Olympic Skateboarding Commission and the IOC. Skateboarding is a part of a youth focus urban cluster concept that will exist in a temporary water-front venue. It was also said the park would most likely stay standing for the public to engage in the course. All of this was a part of the proposal displayed at the IOC session. The slogan across the screen supporting the five new sports promoted skateboarding and the other sports to inspire the youth to discover tomorrow. The five sports approved by today’s IOC session for the 2020 Tokyo Summer Olympics consist of Softball and Baseball, Karate, Surfing, Competative Climbing, and Skateboarding making their Olympic debut. All were noted at the IOC session to have a passionate appeal to youth, especially skateboarding with our ability to reach a global community through social media and our representation the urban culture of Japan. Generally, the questions and concerns surrounding skateboarding were what you could expect from your grandparents or self-appointed neighborhood watchmen. Such questions asked if the IOC have witnessed skateboarding at the highest level and if that level of competition was suitable for the Olympic Games. Basically, some were suggesting skateboarding may not be a high enough level of competition to be in the Games. Quickly several countries and representatives hosting and attending the session voiced how skateboarding and the other five sports support youth and the world’s urban environment, while certainly exhibiting the highest quality of competition. In the end, the proposal was accepted unanimously. Whether or not our skateboarding community agrees is another story. What begs the questions of concern for most skateboarders is whether or not skating being recognized as an Olympic Sport creates a more positive or a more negative state for skateboarding. In other words, does this push skating forward in a positive direction, or does it push skating away from its core fundamental values? It becomes increasingly harder to tell when we look at skateboarding as a whole. For purists, it’s obvious skateboarding in the Olympics is detrimental to skateboarding culture. In addition to facilitating more corporate involvement in skating, to those against skateboarding’s inclusion in the Games, skateboarding in the Olympics potentially furthers us from the values and identity of what it means to be a skateboarder. While certainly most skateboarders will agree skateboarding is fine just the way it is, especially when we draw immense pride from our breaking away from society’s norms and the DIY mentality at the core of skating. But even with this being the case, from these aspects of skating we may of never had a choice but to ‘allow’ skateboarding to reach this point. Why? Because while some skaters desperately fight to keep skating’s core values afloat, others open their arms to a changing landscape. Even if some skateboarders feel like this decision has been taken out of our hands, we have to acknowledge the fact we’ve been in charge of the trajectory of skating since its inception. Now it’s once again in our corner to decide how it is going to be received. Even so, it’s harder for those on the inside than those on the outside looking in to accept skating’s inclusion into the Olympics – especially when the Olympics is set to showcase only about ten-percent (optimistic estimate) of skateboarders. With all this in mind, it still seems the argument supporting skateboarding as an Olympic Game has taken precedent over its purist counterpart. From briefly talking to pro skateboarders about the Olympic question, generally most of them found it inevitable skating would be included in the Games. From there, it becomes an avenue of support for their friends, who they want to see recognized as Olympic Athletes and potentially win medals. Yes, it’s obvious companies want to see their riders in front of a global audience, but it’s also true skateboarders want to see their friends succeed and lay it down for their respected country. Whether you’re looking at skateboarding as a whole, or taking an industry perspective, when you place yourself in the skater’s shoes, the reason to support Olympic skateboarding becomes clear. If you have the chance to represent your country and be recognized not only by your friends and family, but to the world as an Olympic athlete for doing the very thing you love the most, why wouldn’t you support it? Why wouldn’t you want to bring skateboarding into a global history, into the world’s premier athletic event? Because after all, skateboarders are some of the most extraordinary athletes in the world. Even with all this being said, it all boils down to a single point: Skateboarding is already ours, we are not giving it away to corporations or the Olympics, we are sharing it so the future generation of skateboarding is a more global, more diverse and a more connected culture than ever before. On top of that, who doesn’t want to see Luan Oliveira represent Brazil, Shane O’Neill represent Australia, Yuto Horigome represent Japan, and Ishod Wair represent the United States on the biggest athletic stage in the world? It’s not about receiving an affirmation from the world that skateboarding is now on-par with other sports. It is rather we as skateboarders are allowed to take pride in the fact skateboarding takes a tremendous amount of skill and dedication. For that reason alone, skateboarders should be able to compete in the Olympic Games if they so choose to do so. The Olympics inspires the world through recognizing how sports connect our current generations while shaping our future global community. The Olympic Games encourage friendship, respect and world peace among nations through the thrill of sports and the connecting narratives every athlete and sport unfold. Starting with the 2020 Summer Olympics in Japan, it is now skateboarding’s chance to contribute to that vision and inspire people around the world to step on a skateboard. Who knows? The next Eric Koston might be watching four-years from now catching their first glimpse of the inspiring nature of skateboarding. If you’re in the LA area Supra is premiering their new video Oscar & Friends tomorrow night at Black Bar. Details here!